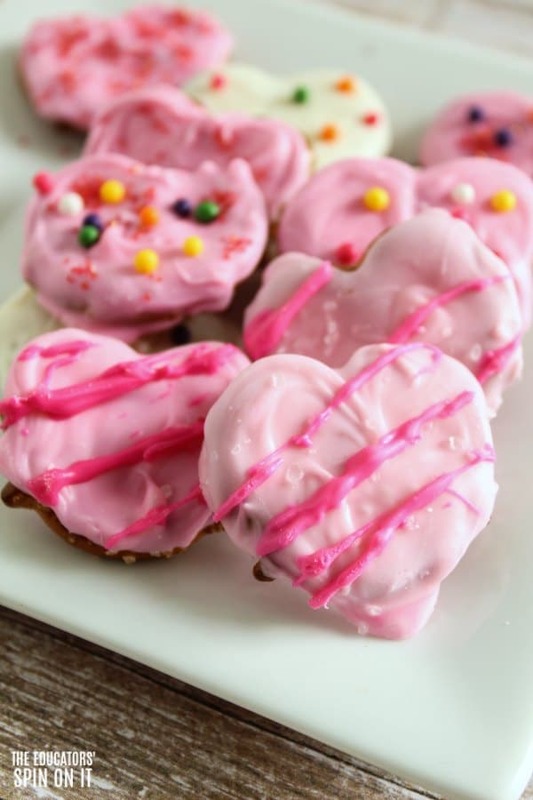 Create a delicious heart shaped treat for kids this Valentine’s Day by using just a few ingredients. 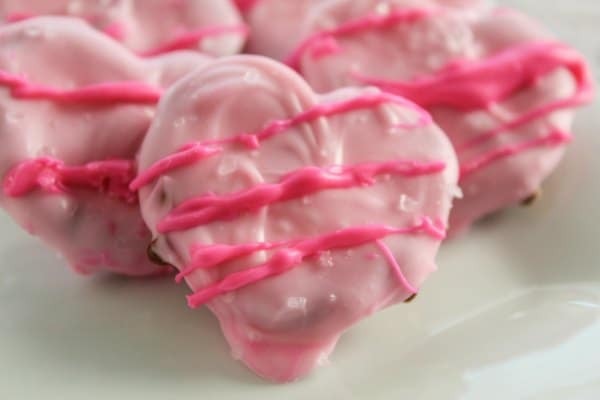 Enjoy a yummy chocolate treat you’ve created for someone you love. Plus these holiday shaped pretzels are perfect to make for Valentine’s Day Treats for school or a playdate with friends. 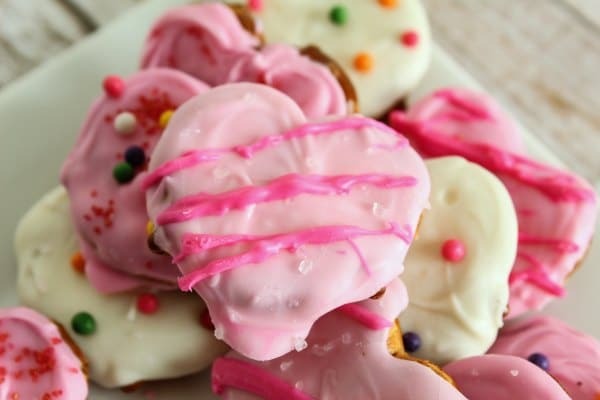 Here’s how to make these heart shaped pretzel candy treats! 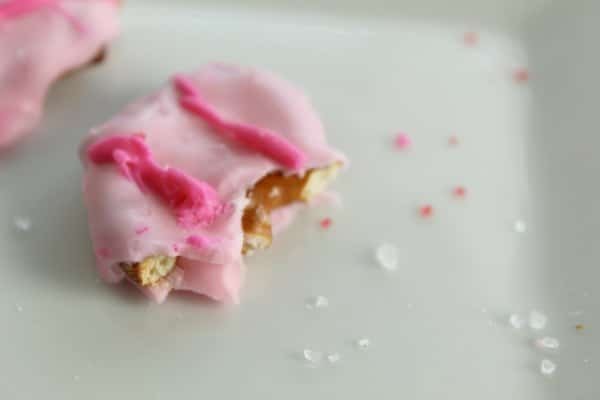 Candy colors (make sure you don’t use regular food coloring or icing colors) Also, note that you get a much nicer shade of pink using pink candy color rather than just mixing in red candy color to your white chocolate. Note: If you’re using Milk chocolate, it’s important to temper the chocolate – stir in un-melted pieces to the hot melted chocolate mixture. 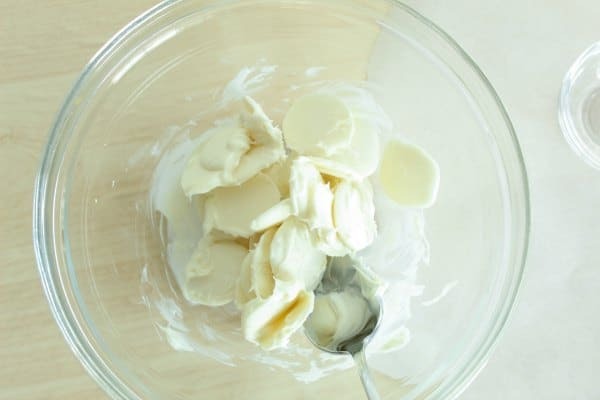 This will help the chocolate remain shiny after it hardens. 3. 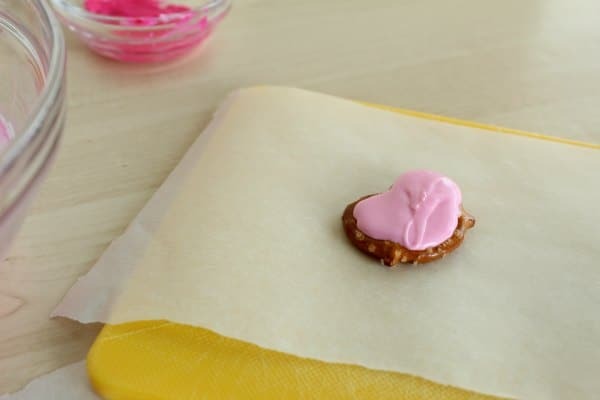 Put a strip of Parchment paper or waxed paper onto a small cutting board, and set a pretzel down on it. 4. Spoon the melted candy onto the pretzel as shown. Then, use the toothpick to sweep around the edges forming a heart shape. TIP: It may take you a few pretzels to get the hang of it. If they look ugly you’ll just have to eat them! 5. 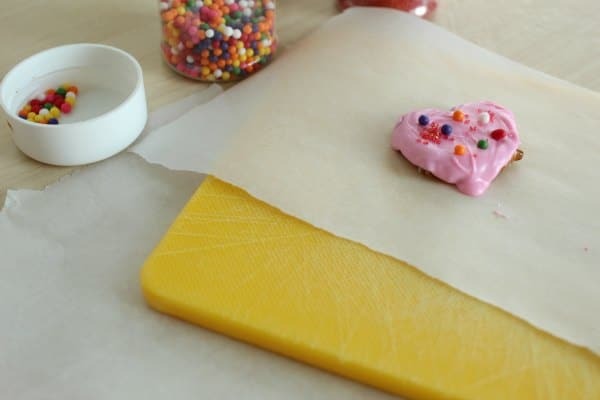 Tap the cutting board on your work surface to spread the candy out further and to get the air bubbles out. 6. If you want to decorate with sprinkles, add them before the chocolate hardens. Since these are pretzels, you can even decorate with a little kosher salt or extra coarse salt from a salt grinder – just use it in moderation. Yum! 7. Repeat with several more pretzels. When your cutting board is full, put it in the freezer for about 5 minutes to harden. 8. 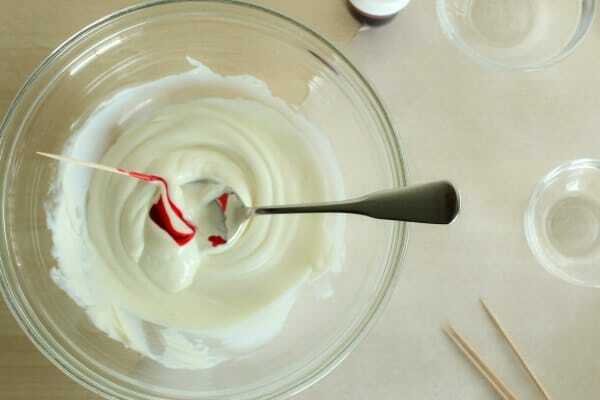 If you want to drizzle on stripes in a contrasting color, melt some additional chocolate as in steps 1 & 2 above. Lay the candy pretzels out on waxed or parchment paper and drizzle melted chocolate across it with a small spoon. It helps to start the drizzle on the paper and then continue across the candy to the paper on the other side. 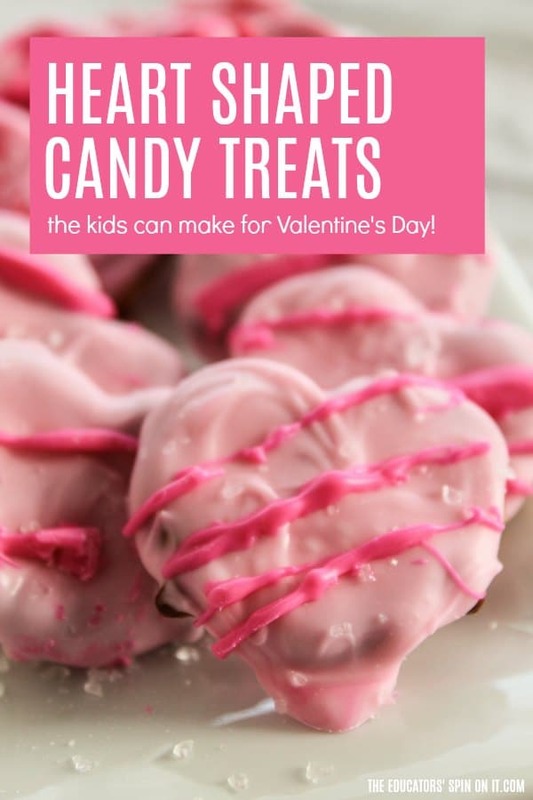 There are so many ways to decorate these delicious Valentine snacks for the classroom or for a playdate with friends with your child. 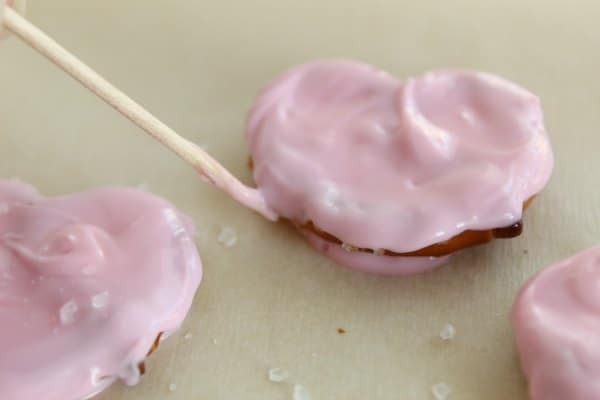 I can’t wait to see how your heart shaped pretzel candy treats turn out! Happy Valentine’s Day! 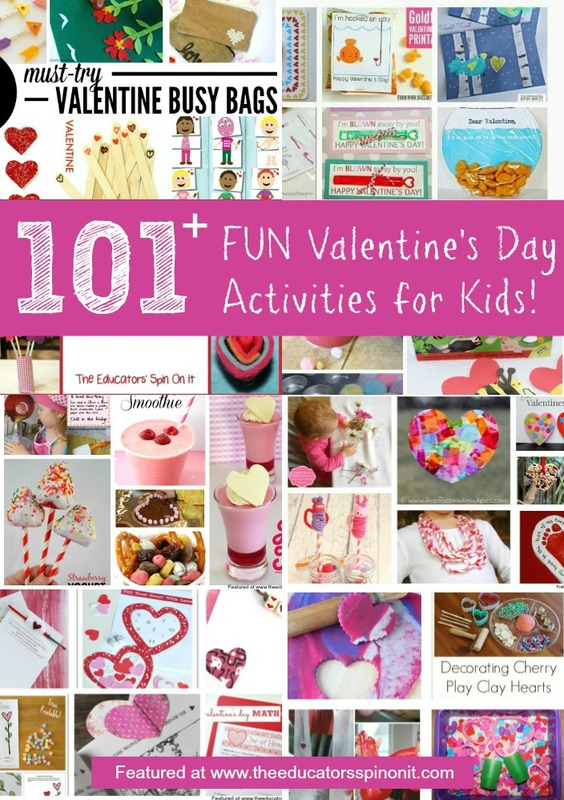 You might like our resource of 101 FUN Valentine’s Day Activities for Kids. 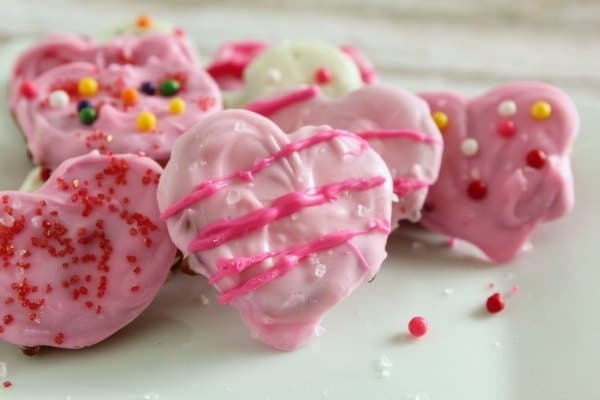 There’s a few more Valentine’s Day Recipes there too for your little chef.